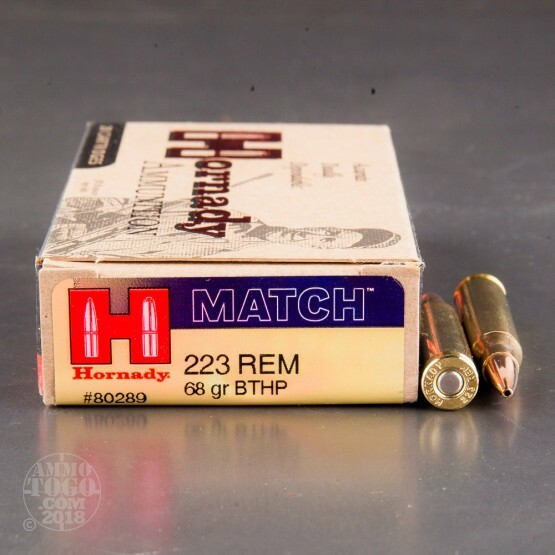 A Match is a cartridge that Hornady has carefully selected and inspected each component for to ensure absolute and unerring hair-splitting accuracy. 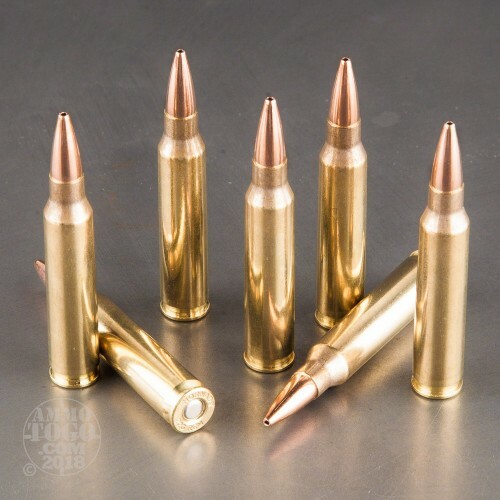 No facet of these rounds, from the seating of their bullets to the consistency of their charges, has been overlooked. Even though you assembled your AR-15 yourself and are reasonably certain of its capabilities, a Match round will let it shine in a way which you never could have anticipated. 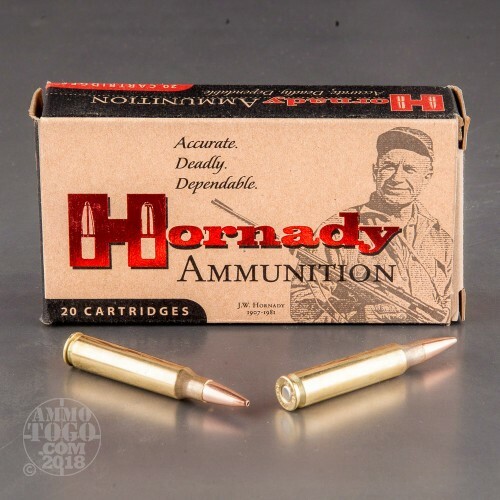 This cartridge features a 68 grain projectile. The bullet’s hollow point meplat isn’t meant to create a wide wound channel within game, but rather to grant resistance against wind deflection. This bullet’s exceptional accuracy is not only a product of its concentric jacket and uniform core, but also its boat tail design. By raising its ballistic coefficient, this bullet’s tapered base gives it greater velocity and a flatter trajectory downrange, as well as additional protection against crosswinds. 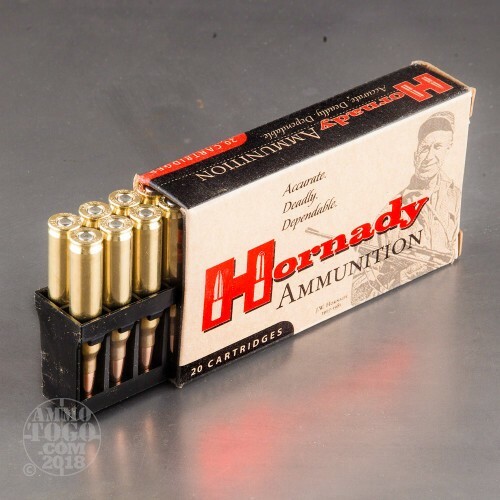 A handloader should relish the opportunity to work with one of Hornady’s select brass casings. This cartridge’s primer is non-corrosive, and its carefully measured propellant burns exceptionally clean.